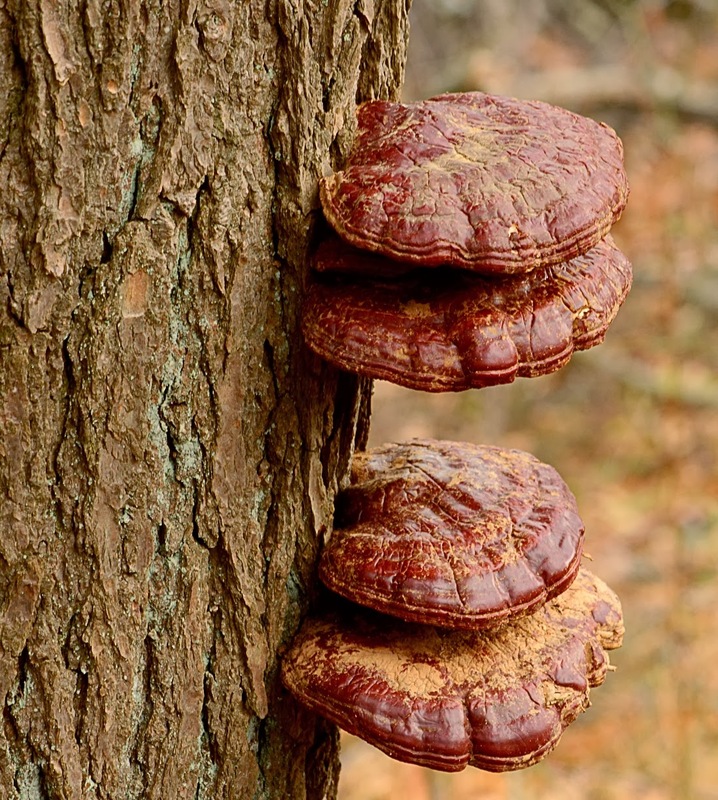 We do not usually think of finding fungi or mushrooms in mid-November in this region. I found this interesting specimen today (11/19/13) on Shavers Mountain in Randolph County. It is (Ganoderma tsugae) Hemlock Polypore, also known asHemlock Varnish Shelf. It is very pretty and shiny. I know I should have cleaned the dust off; before taking the photo. But as always; what you see here is REAL. This is not an edible fungi. It is ground into a powder and used in tea in Asian countries. Supposedly as an anti- inflammatory.Ling Chih.